Last night my other half and I got the offer of a babysitter (thanks mam ;)) so we jumped at the chance to get out together for the night. 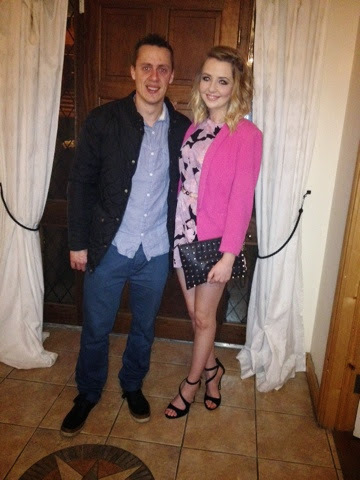 I wore the playsuit I wore for Emelia-Lily's christening (worn with dark tights of course!) 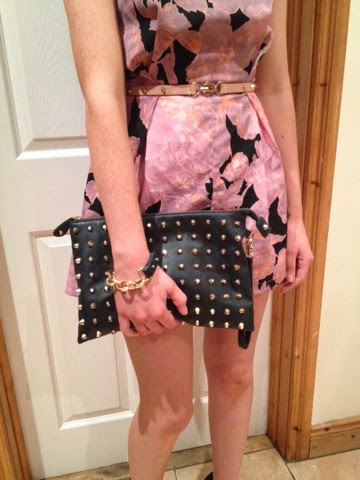 This time I added studded accessories as a contrast to the girly floral print of the playsuit. 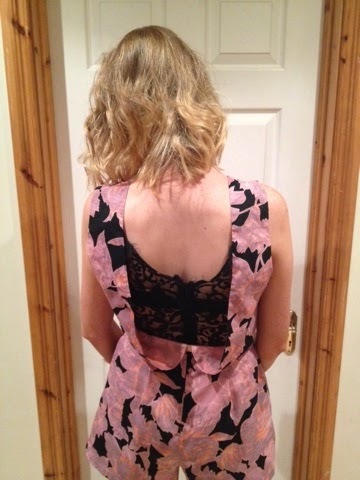 The lace detail and draped effect at the back is my favourite part about this playsuit, I love it! !